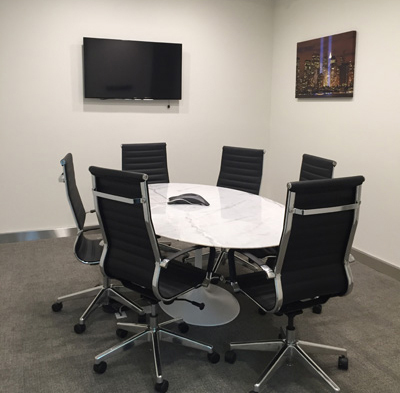 Modern, Nero Marquina Oval Conference Table & Matching Serving Credenza. 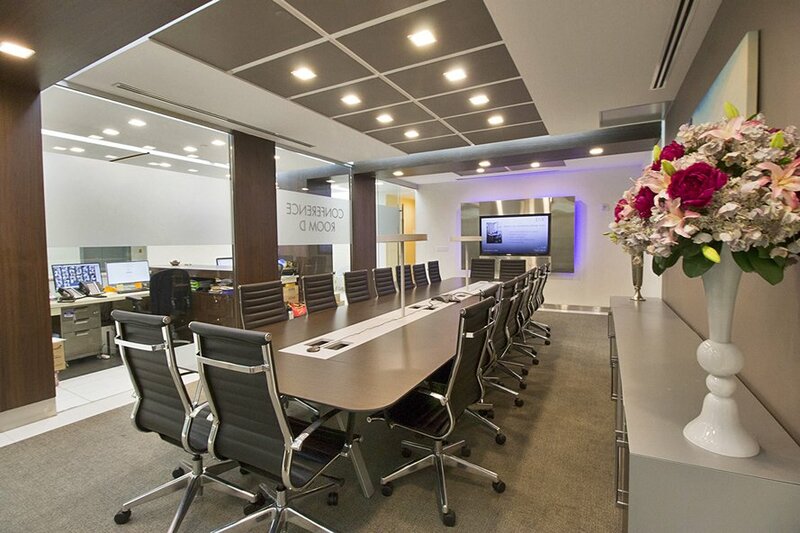 Ergonomic Black Leather Executive Designer Chairs. 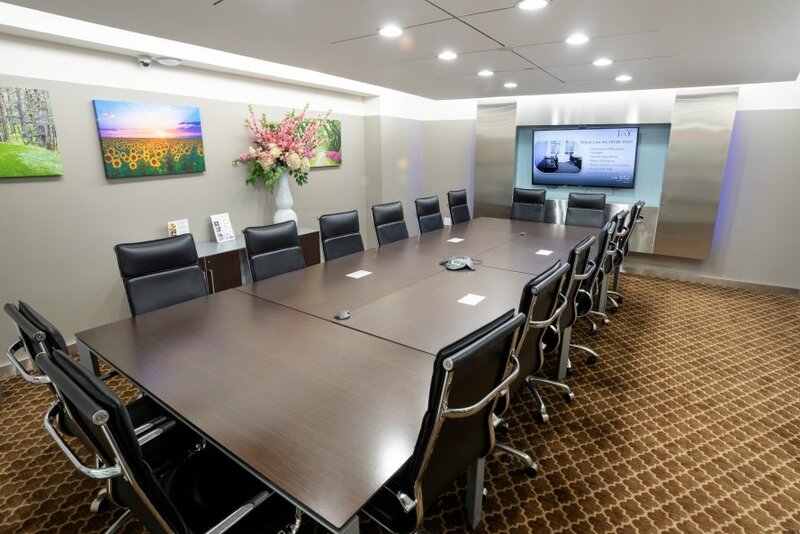 55" Samsung Ultra HD 4K Smart LED TV for your Presentations. 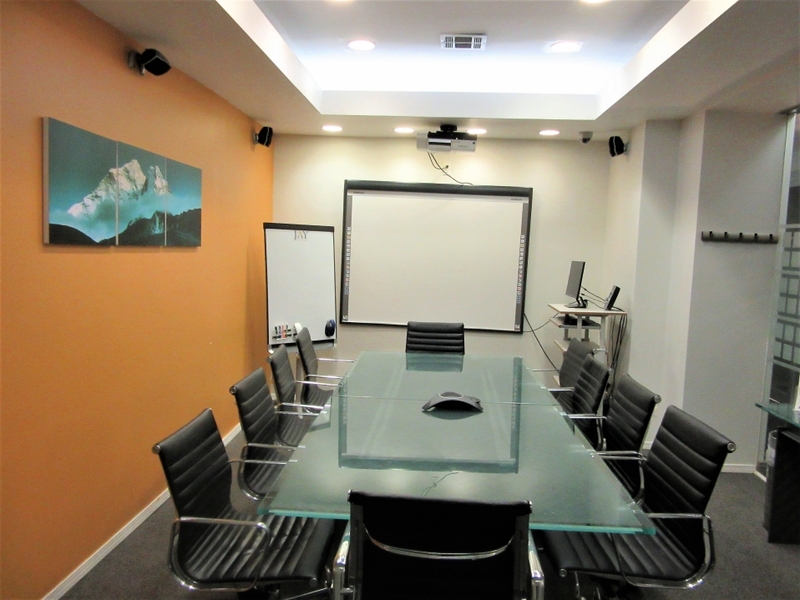 1080p HD Camera for Video Conferencing. Advanced Audio Control with In-Ceiling Speakers. HDMI input along with Thunderbolt, USB-C and VGA adapters for laptops. Electrical Receptacles and USB charging station in Table for Easy Access to Power. WiFi & Wired Ethernet Connectivity. Mobile Magnetic Steel Presentation Markerboards. Catering Available and Setup for your Meeting. 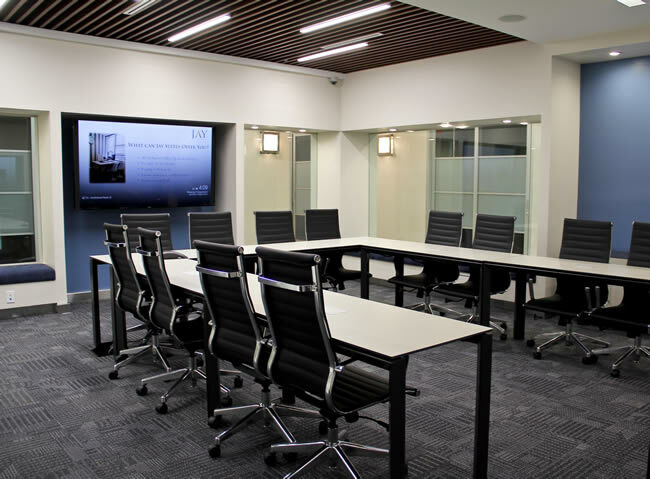 18 person capacity Meeting Room with Windows (can be setup as octagon or classroom style). 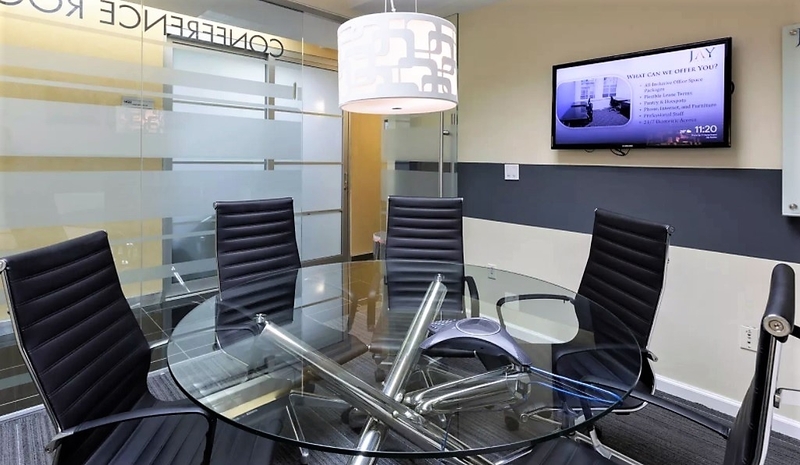 Modern, Sustainable Matte Laminate Conference Table & Matching Serving Credenza. 65" Samsung Ultra HD 4K Smart LED TV for your Presentations. 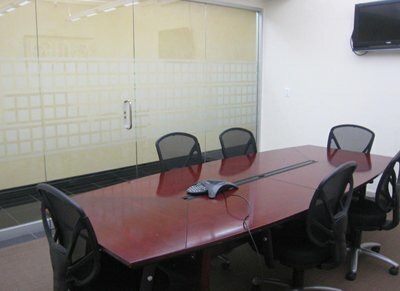 14 person capacity Meeting Room with Windows. 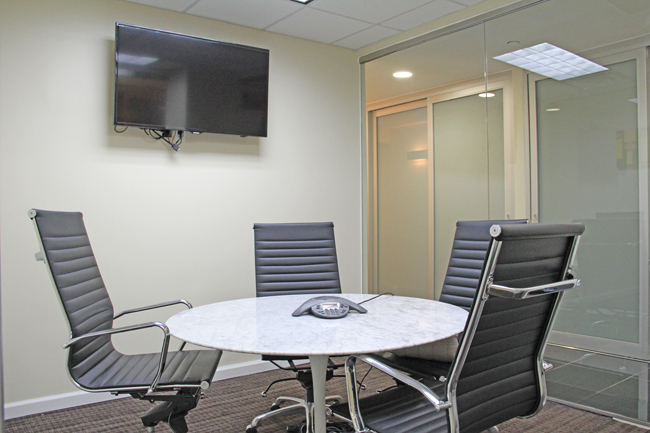 VoIP HD Teleconferencing with Microphones. Designer Lamps for Additional Light. 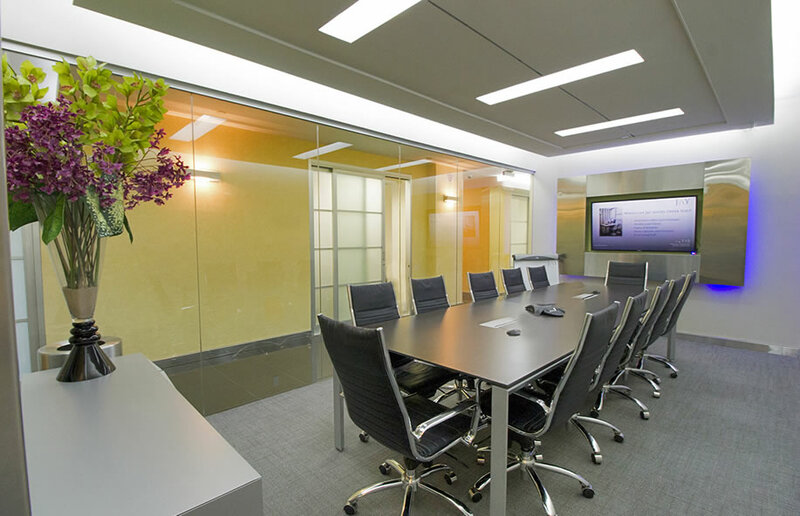 28 person capacity Meeting Room with Windows (can be setup as pods or boardroom style). 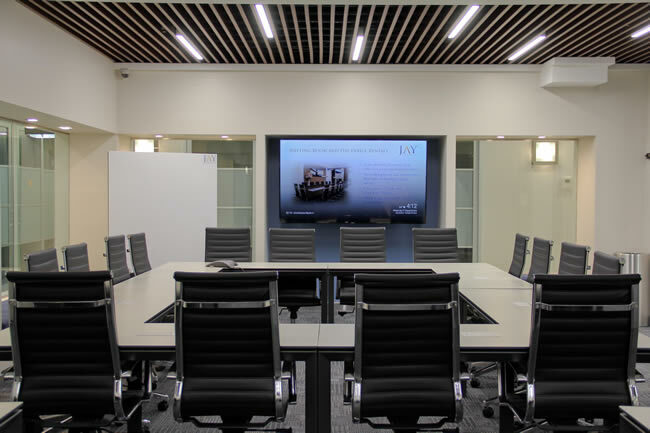 Dual 75" Samsung Ultra HD 4K Smart LED TV for your Presentations with Mirroring. 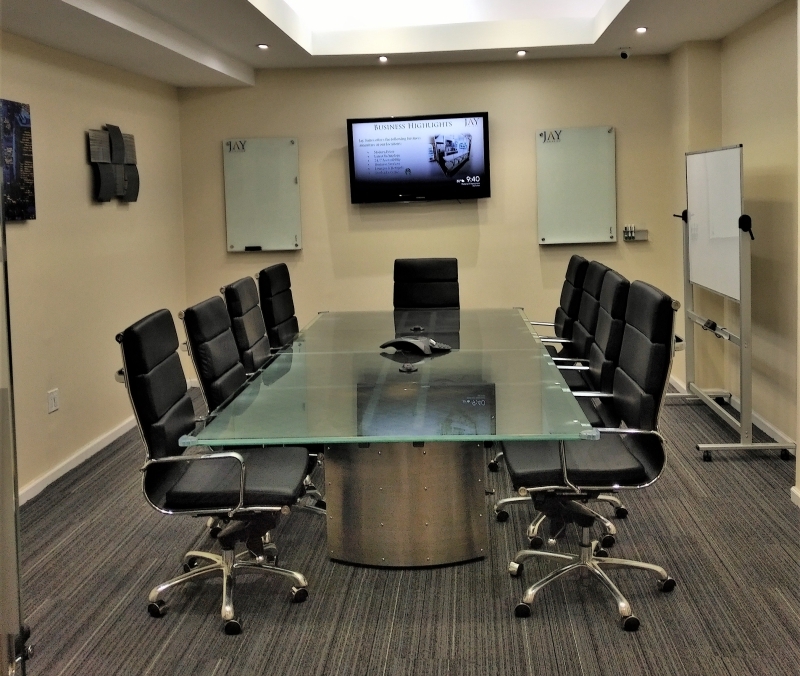 Built-In Logitech MeetUp 4K PTZ Camera for Video Conferencing. 7 person capacity in a bar height collaboration style setup. Modern, Nero Marquina Conference Table & Matching Serving Credenza. lectrical Receptacles and USB charging station in Table for Easy Access to Power. 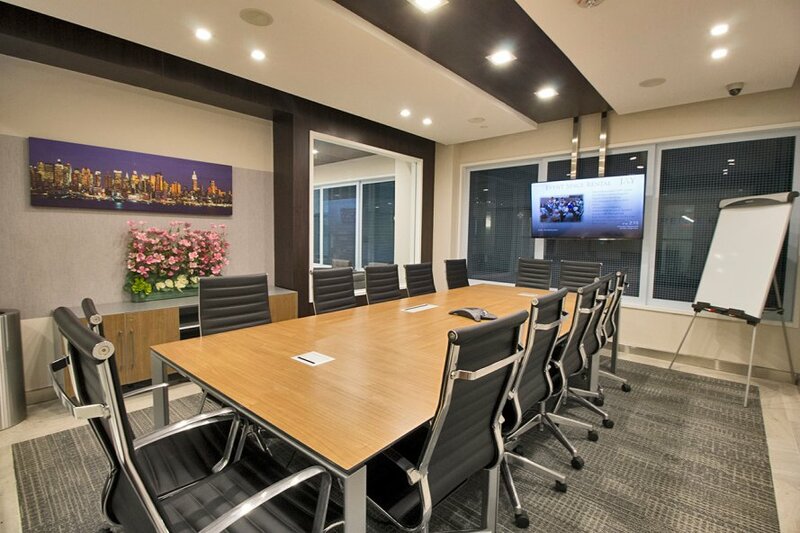 Is my booking time guaranteed once I enter my information and click "book my meeting"? Yes. Our online booking system reflects live inventory. Once we process your payment, you will receive an e-mail confirmation with the details of your booking by e-mail. This means that our system has reserved the timeslot you selected for your booking. 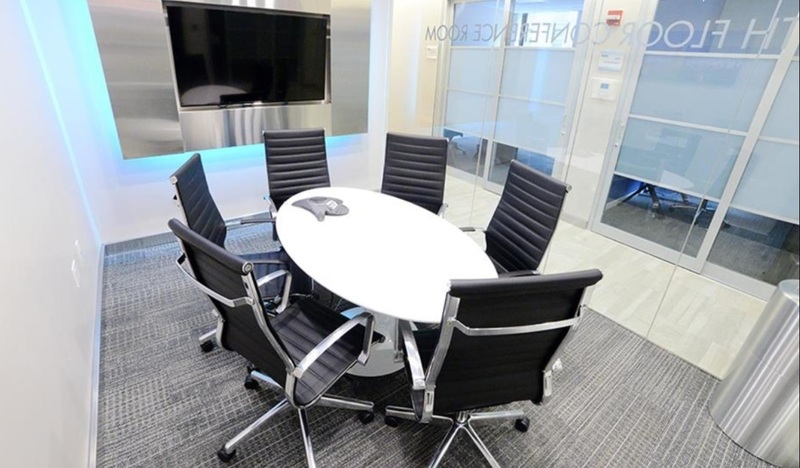 What are the differences between meeting rooms? 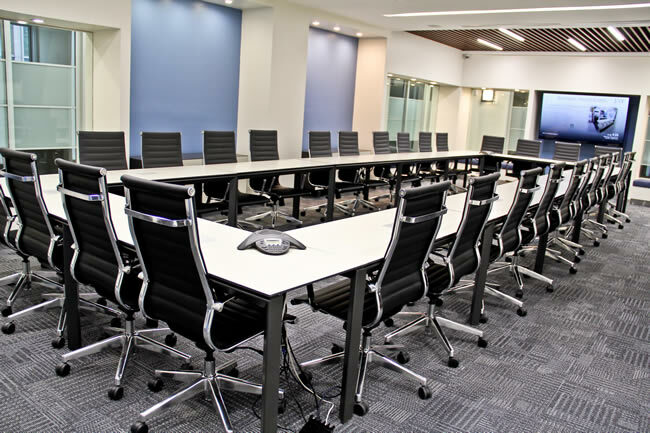 Meeting rooms at each location have varying size, capacities, furniture and technology. Click "Room details" under each room name to see specific information about and photos of the room. How long in advance can I book? 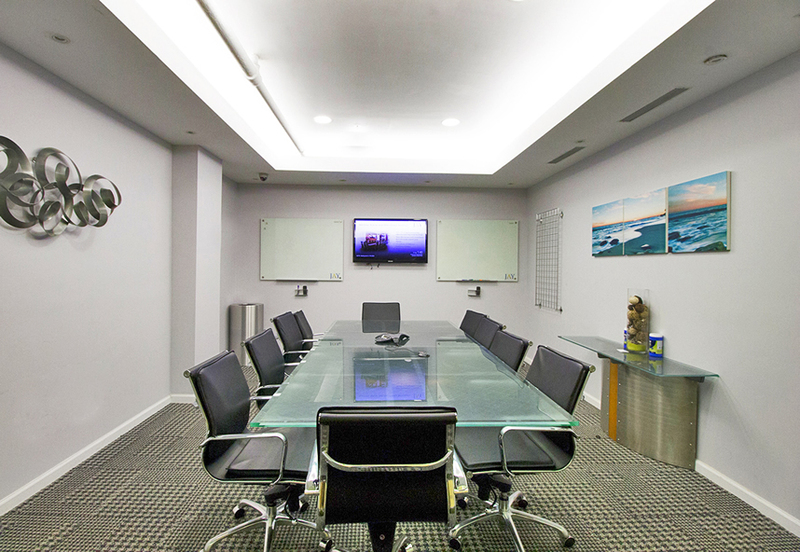 You can book meetings for the next business day and for any date in the future. Can I book multiple bookings? Yes. Our system allows you to purchase up to five bookings at once. What is the minimum booking length? 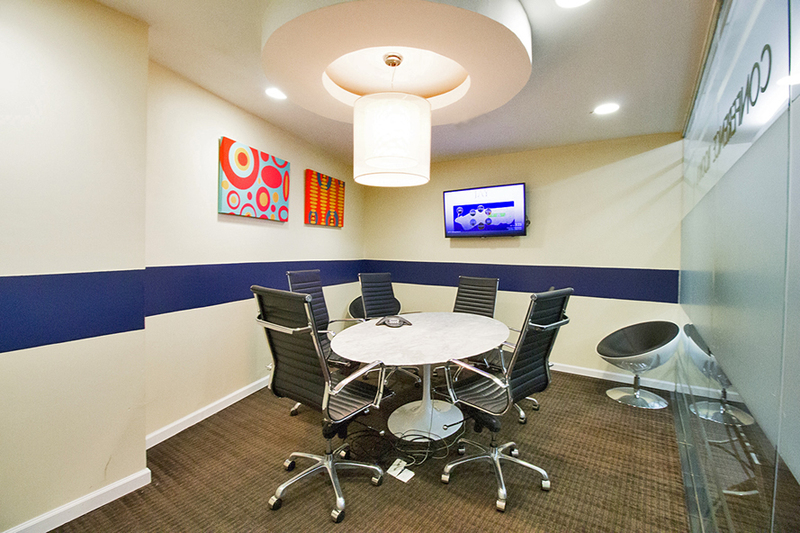 Meeting rooms can be booked for as little as 15 minutes. 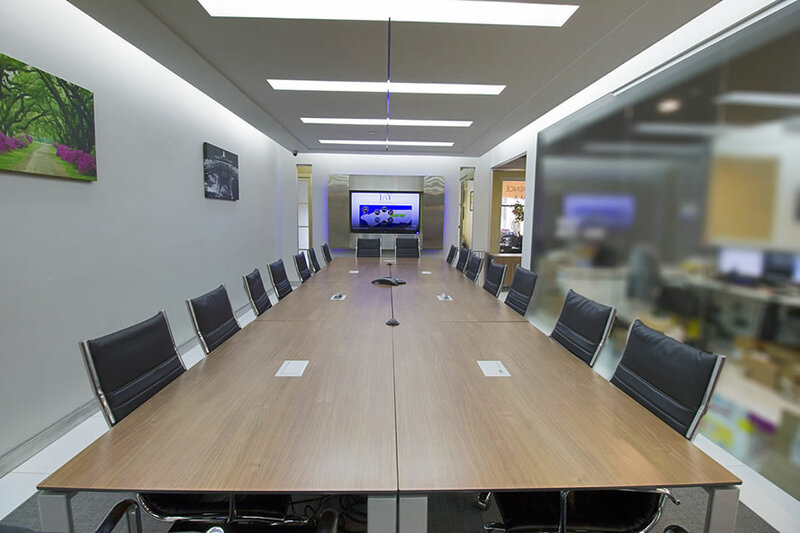 You can book a meeting room for a day up to a full week in one transaction by clicking the "add another booking" button when checking out. A full day rate will kick in for bookings longer six hours and longer. Should I include preparation time when making a reservation? Yes. As you may need some time to get settled in and prepare for your meeting, please do allow for preparation time in your reservation. All sales are final. However, you may cancel your booking up to 14 days in advance as per our terms and conditions. 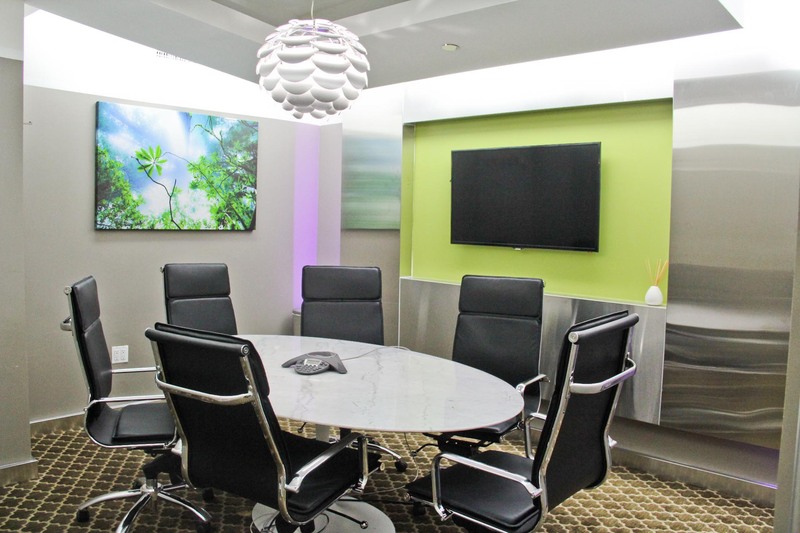 If your meeting is cancelled more than 14 days prior to the start time, we have two options: a) apply a credit to a future booking or b) we can process a refund less a 5% processing fee or $25 per reservation, whichever is greater. Cancellations made less than 14 days to the meeting start time are non-refundable. To cancel a reservation, please email us at info@jaysuites.com. When communicating with us, please have your name and booking number ready. What happens if my meeting continues after the ending time? 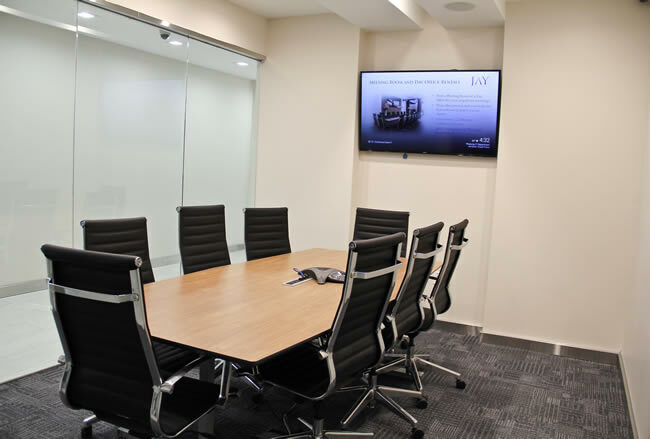 When arriving at our center, you will see your booking on TV screens outside the meeting room. 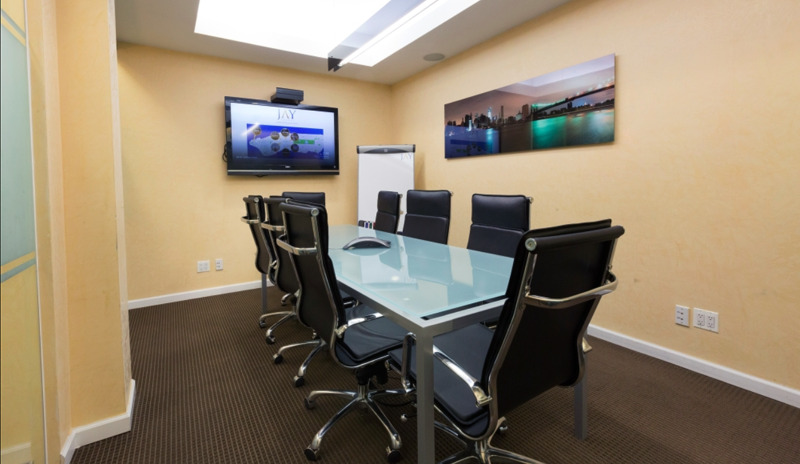 You will also see whether the room is booked immediately following your meeting. If it is, we ask that you be respectful to your peers and courteous in vacating the room in a timely manner. 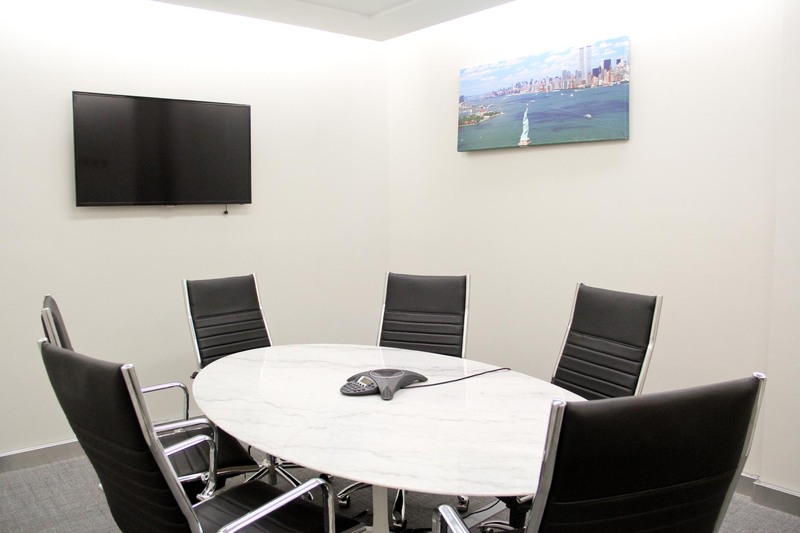 However, if the room is available, you may continue your meeting by advising the front desk of how much more time you need it. 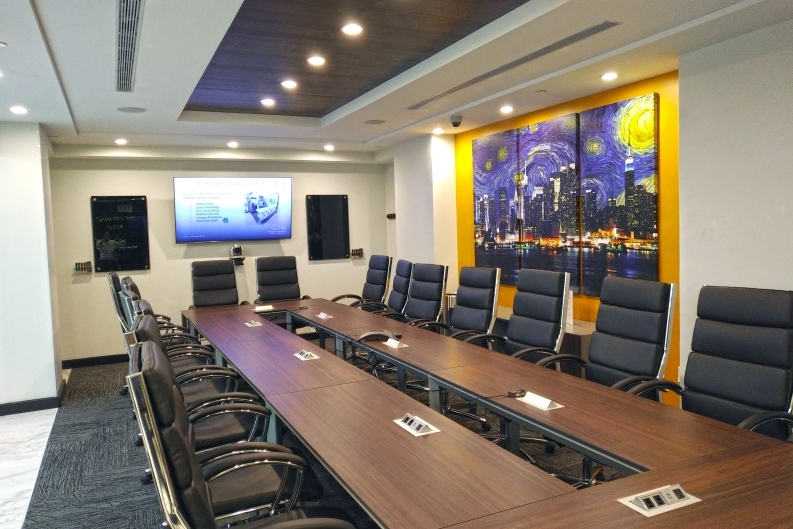 Please note that in this case, we will charge your credit card for the overage following your meeting, and you expressly permit us to do so by purchasing a booking on our site and agreeing to the terms and conditions. 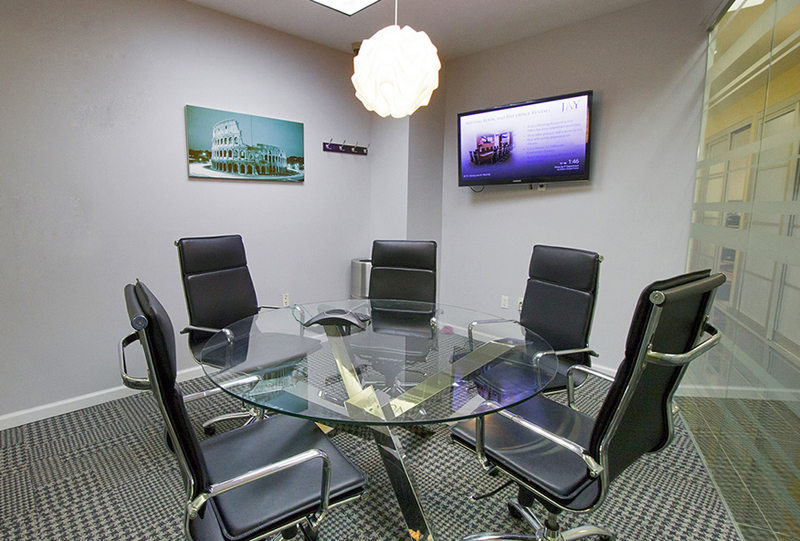 Please note, meeting room time is charged in 15-minute increments. How will my e-mail address be used? 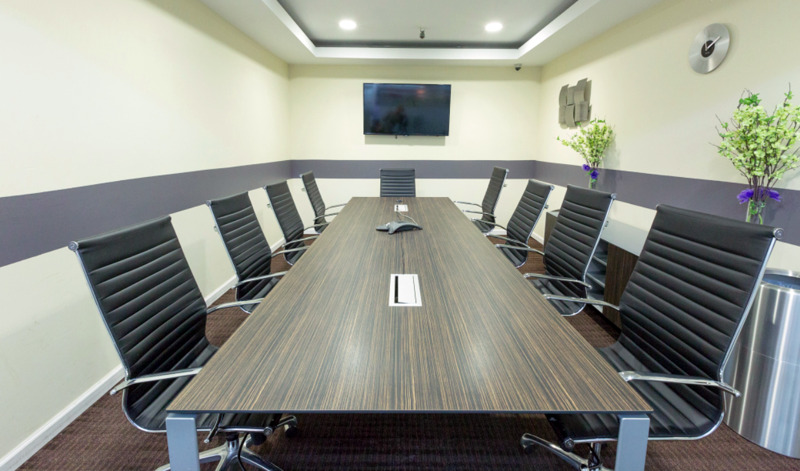 We collect and store your name, e-mail address, and phone number so that we can contact you if an issue with your booking arises. We do not share your information with any third parties for marketing purposes. Yes. We have SSL protection and use 128-bit encryption when handling your sensitive information, such as credit card details and other relevant payment credentials. Still have questions? 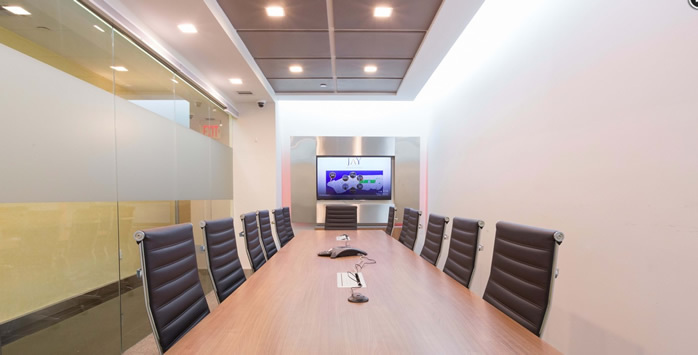 Feel free to call us at (212) 569-9000 and we’ll be glad to assist you. Please select a location to see plan offering. © 2019 Jay Suites. All Rights Reserved.